You're in for a real treat today, because Sherry Hart from Design Indulgence is here sharing her ABC's. You do read her blog, don't you? I think I laugh out loud just about every time I read her posts. She has such a knack for writing and always seems to add some humor to it. Love that! Did you see her gorgeous home featured in a recent issue of Better Homes & Gardens? She wrote about it here in case you missed it! Best Vacation: For 12 years we chartered a 55ft Catamaran in the BVI's and did a wonderful sailing trip. 4 couples, a cook [the best part] and a captain. If you ever get a chance you need to experience a trip like that! Chore you hate: Vacuum! I hate that the cord gets all caught up and my dogs start going crazy! 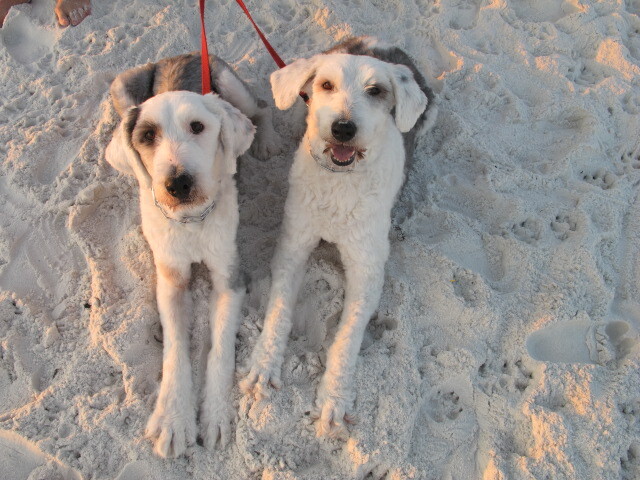 Dogs or Cats: Dogs! But we did have both as a child. Essential start to your day: Coffee!!!! Seriously love my java. 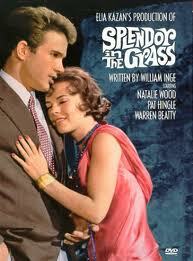 Greatest film: Splendor in the Grass is one of my all time favorite movies. I loved Natalie Wood. Instrument you play or have played: I am not musical...in fact if I start singing people tell me to shut up :) BUT...I love music. Job you'd love to have: I would love to be a stylist. It would be easier than a designer. You get to come in after all the hard stuff is done and make it beautiful! Kids: I have 2 step-children. Overnight hospital stays: I have never been in a hospital!!! Quote: " My formula for living is quite simple. I get up in the morning and I go to bed at night. In between, I occupy myself best as I can" Cary Grant. 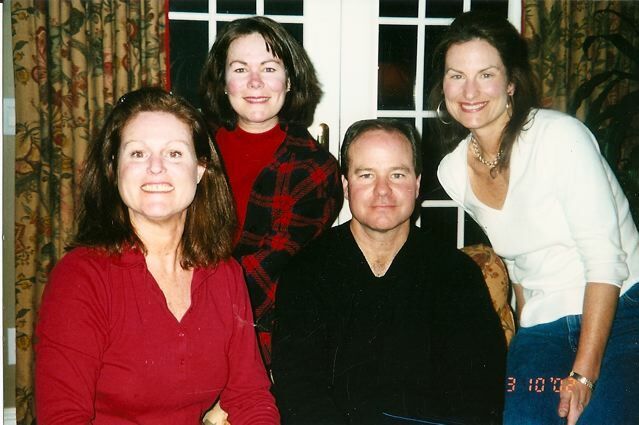 Siblings: I am the oldest of four. Two younger sister and that baby of the family...my brother. My family. Me on the far right. Time you wake up: I usually wake up around 6:30 AM. I would say I am more of a morning person. University attended: I only attended a 2 year college in Maryland, then went off to see the world! In the form of a Flight Attendant. Vegetables you dislike: I do not like Lima Beans at all! X-rays: Only had an Xray once with my broken toe last year. Yummy food you make: Since I don't really cook....I can make great popcorn the old fashioned way. I always throw in some squirts of Tabasco! 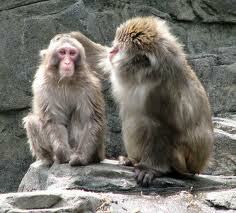 Zoo animal: I love me some monkeys...they are so funny to me! Thank you so much for being here today, Sherry! 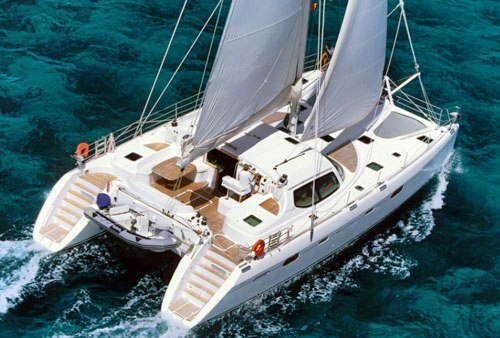 The catamaran trip sounds amazing. What a dream to be able to do that every year! So jealous! 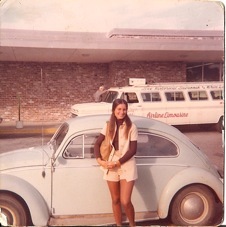 And, of course, love the photo from your flight attendant days!